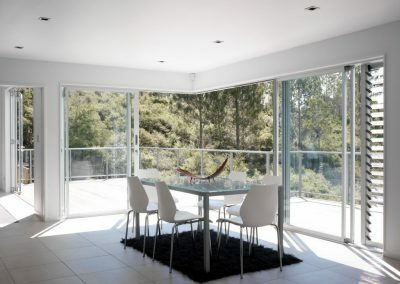 Situated on the North Shore of Auckland, New Zealand, this home delivers pure elegance with high performance windows and doors incorporated into the building design. 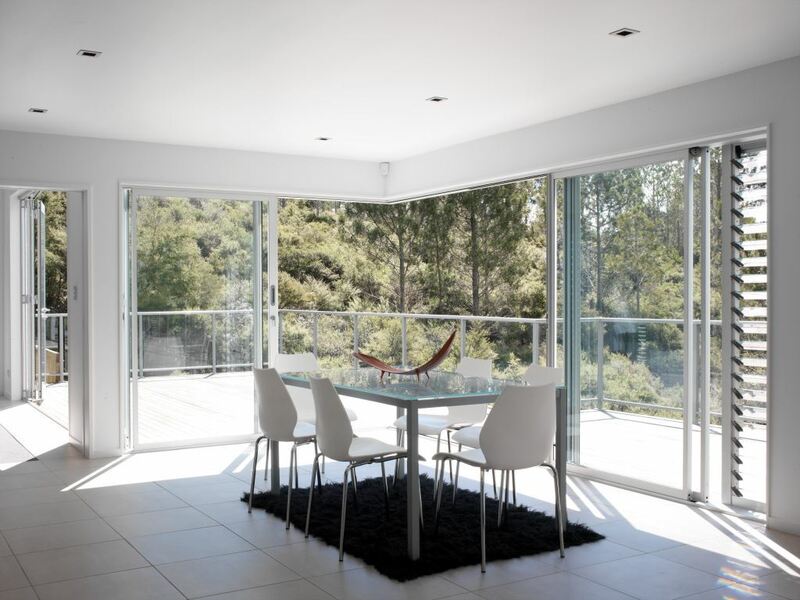 Breezway Louvre Windows can be seen in the living areas including the dining room and bedroom alongside stacker and sliding doors which are ideal for high traffic areas like these. 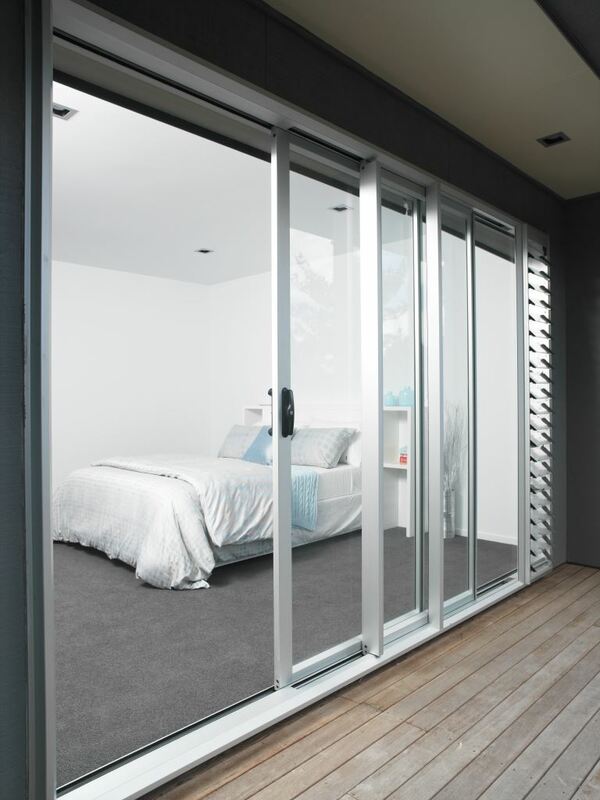 The louvre windows and doors provide uninterrupted views out onto the surrounding backyard and are a great solution for windy, exposed areas as they seal tight to offer protection from the elements. A tall, narrow Breezway Louvre is also located in the bathroom behind a towel rack. 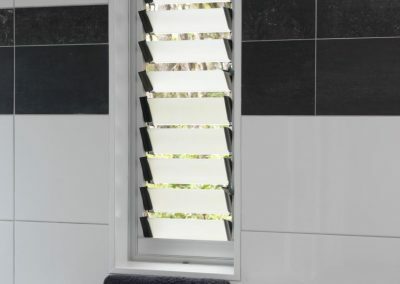 This allows built-up steam to escape quickly whilst drying towels efficiently in such a cold climate zone. 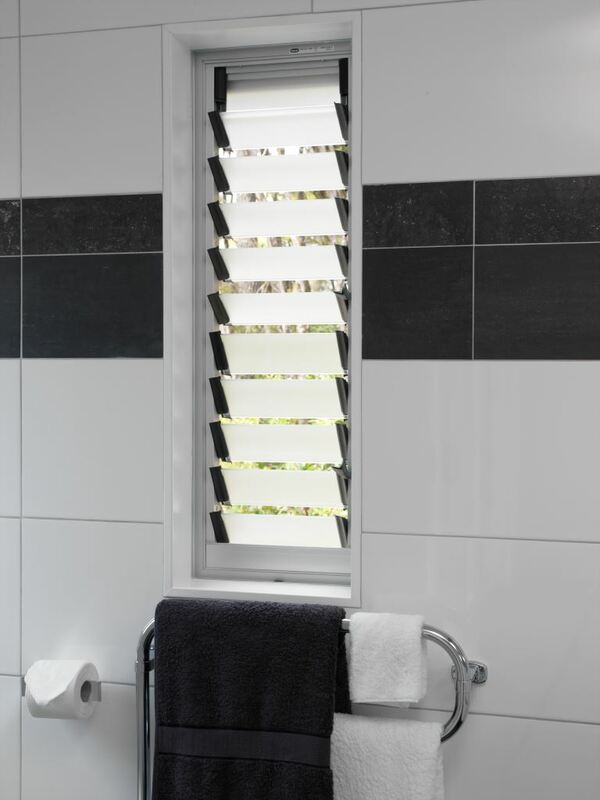 Frosted satina glass blades have also been used in this window to offer privacy from neighbouring homes.